For nearly 150 years this has been a refined dining location whilst simultaneously playing host to liaisons, affairs and voyeurism. 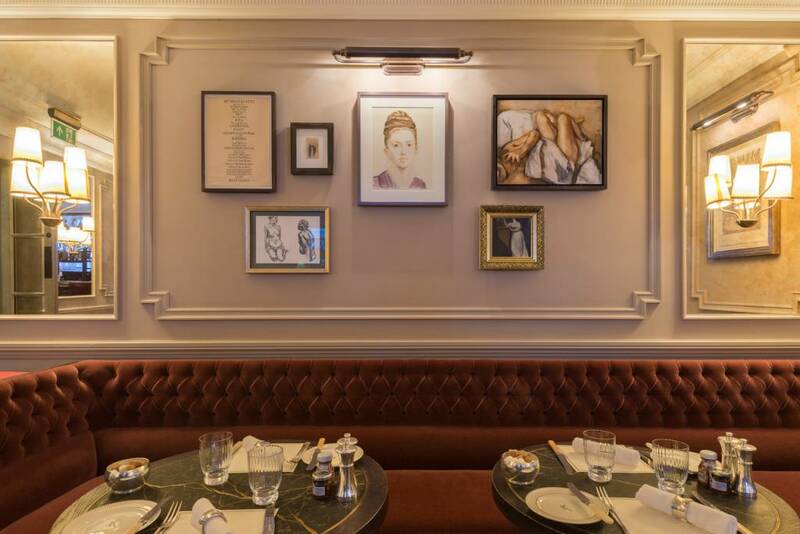 It is this clandestine aspect of the site that has inspired the contemporary collection ‘Mistresses’ for the rebirth of Kettners Townhouse as it joins the Soho House group. 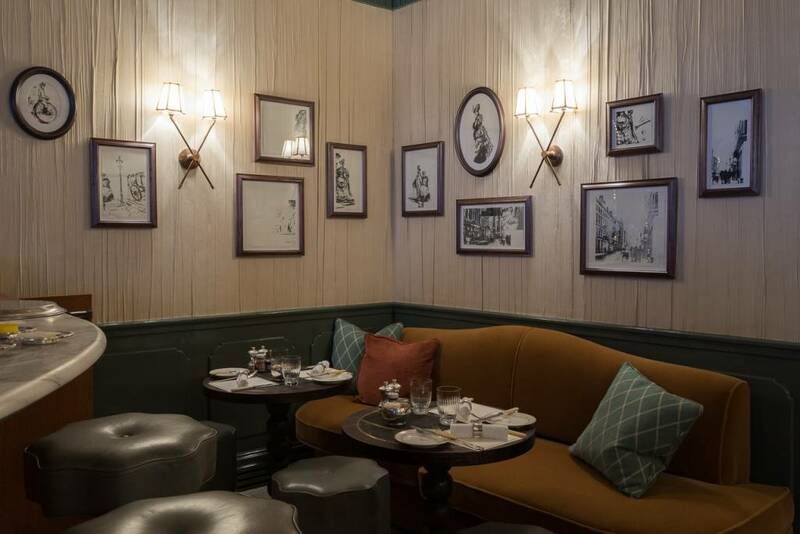 Kettners has been a landmark institution in Soho for over a century, opening its doors as a small French eating house and hotel in 1867 under the ownership of Auguste Kettner, chef to Napoleon III, a native of Germany who worked in Paris before coming to London. In the 1860s to 1890s, King Edward VII courted his mistress the actress Lillie Langtry at Kettners and even arranged for a secret tunnel to be built between Kettners and the Palace Theatre where she performed. It’s rumoured they would take the tunnel to meet at Kettners during intermissions. This colourful history continued into the modern period and the contemporary art collection makes references across the two centuries. Sara J Beazley drew inspiration from damaged wall murals partly uncovered during the restoration of the restaurant. 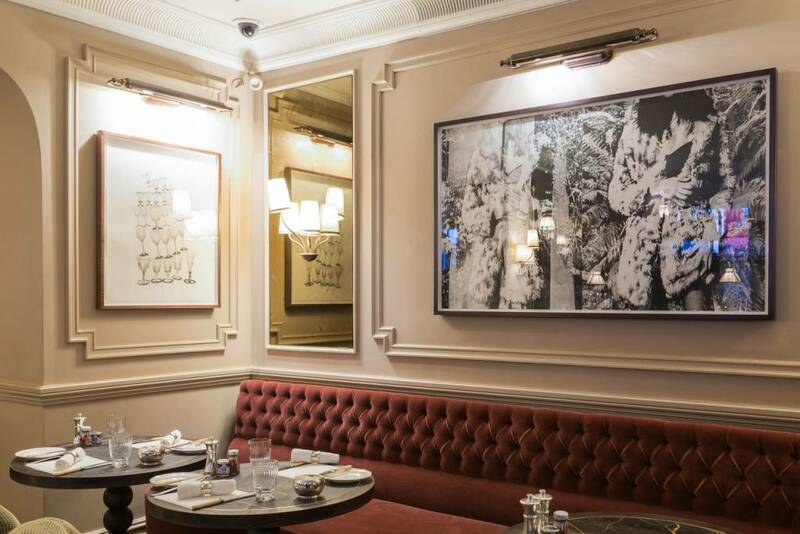 Beazley photographed the decades old work and incorporated the imagery into silkscreen prints which form a site-specific installation in the champagne bar, the original location of the lost murals. Beazley also made a series of work for the Kettners bedrooms, juxtaposing modern Soho imagery such as the notorious brothel sign in Meard Street with vintage and Georgian references. Danny Augustine has also made a new series of pigment prints for the bedrooms which reference the modern history of Soho, presenting a voyeuristic series of faceless femme fatales in fur coats. Augustine has also made waxprint single line drawings inspired by classical love scenes for the champagne bar. The collection also includes work on the mistresses theme by Rachel Howard, Zoe Buckman, Annie Morris, Catherine Parsonage, France-Lise McGurn, Sarah Hardacre, Isobel Williams, Charlie Billingham, Ross Chisholm, Richard Culver, David Austen, Seb Patane, George Young and Adam Dant. Get a Sneak Peek Inside Kettner’s Townhouse in London. 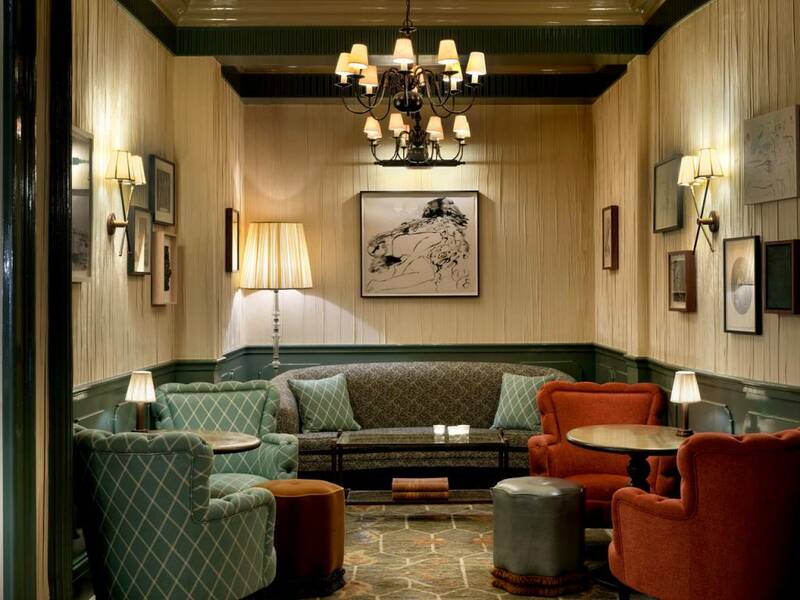 The onetime hangout of Oscar Wilde, Winston Churchill, and Agatha Christie has been gloriously reimagined by Soho House.